McEvoy at a signing event. 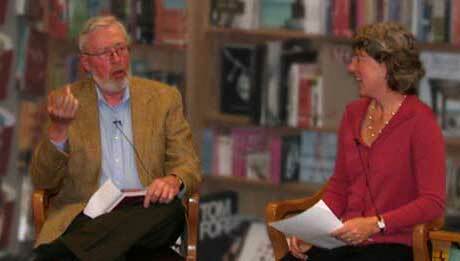 John at The Book Stall, Winnetka, Illinois, interviewed by Julia McEvoy. 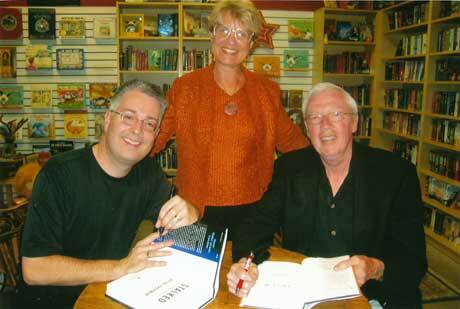 John at the Poisoned Pen Bookstore, Scottsdale, Arizona, with fellow author Brian Freeman (left), and Poisoned Pen Press Editor Barbara Peters (center).